I’ve been foraging for chestnuts this week, scouring Hampstead Heath twice and finding only the tiniest nuts (too small to cook and eat). 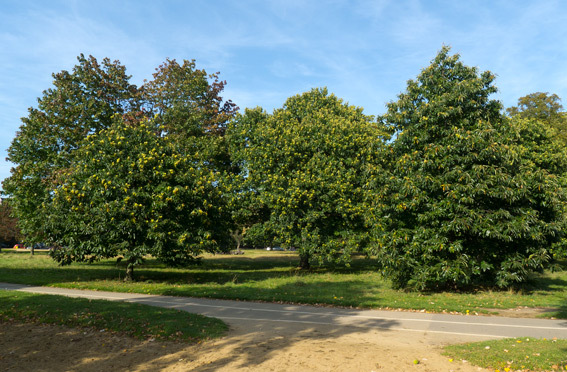 Today, cycling through Hyde Park, I got lucky, coming across a group of 5 trees, one of which, had edible, medium sized, sweet chestnuts. 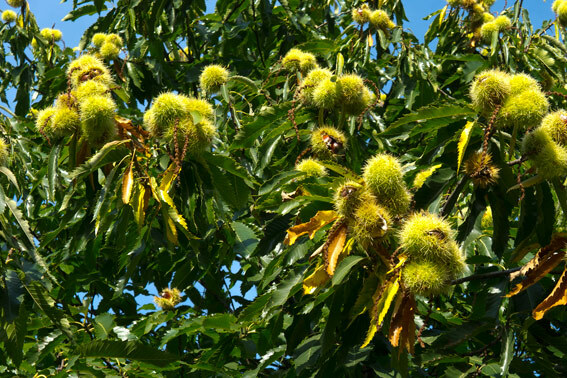 The chestnut tree came to Europe from Sardis, in Asia Minor, apparently and they were very popular with Greeks and the Romans. 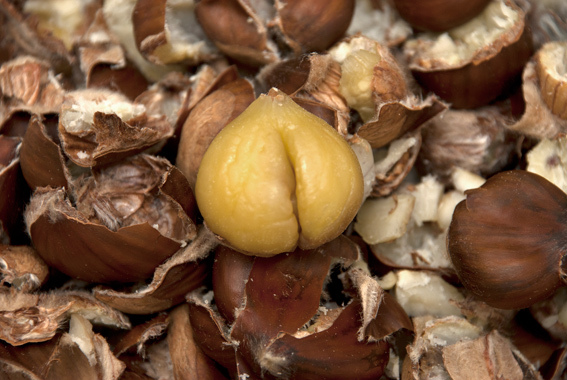 The nut itself is a good source of carbohydrates and can be made into bread, cakes and even beer! They are very popular in France and Italy as marron glacé, candied in sugar syrup and glazed. 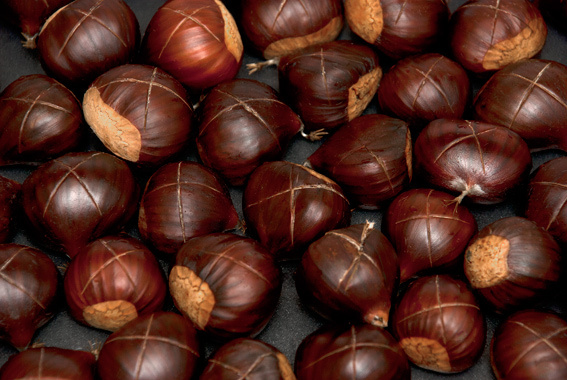 Chestnuts have less calories than a lot of other nuts, lots of vitamin C and no cholesterol. The downside to this is that they take a bit of peeling. 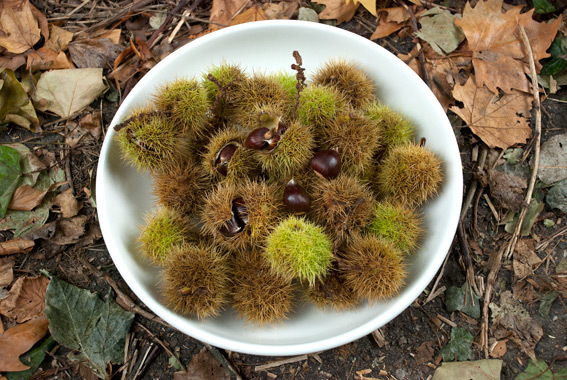 Chestnuts come in a very prickly capsule – use some leather gardening gloves to collect them or you are in for a world of pain! You’ll need the gloves again later, to remove them from their capules, or some tongs. Once you have the nuts tamed, they should be rinsed in water before roasting. Cut a cross into each shell – this is absolutely essential or they will explode as they expand in the oven. Roast in the oven for up to 30 minutes (for large nuts) at 200º C. Mine were medium sized and needed about 12 minutes. 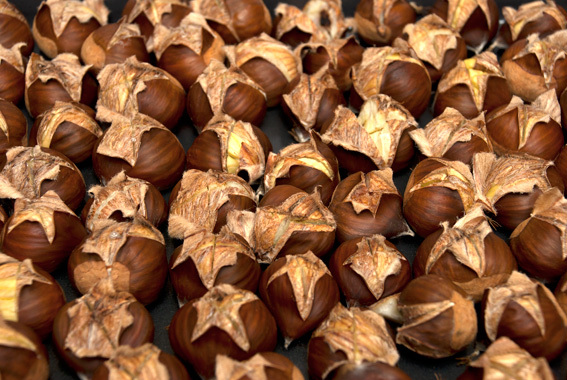 If they cook for too long they go powdery, which is fine for making chestnut flour, but not much good for eating as nuts or making marron glacé. While hot, peel off the outer, hard shell and inner skin to get to the sweet chestnut. It gets considerably harder when they cool. 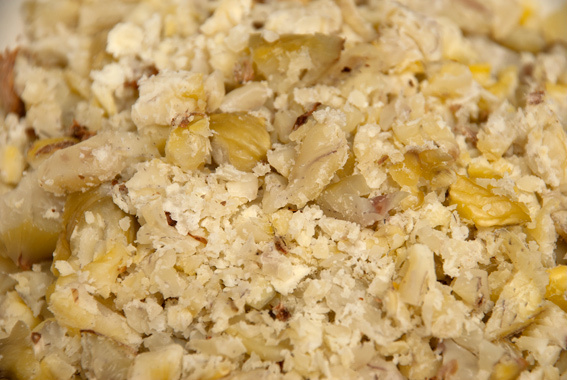 I’ve chopped up some of the nuts to make a stuffing for chicken tomorrow. 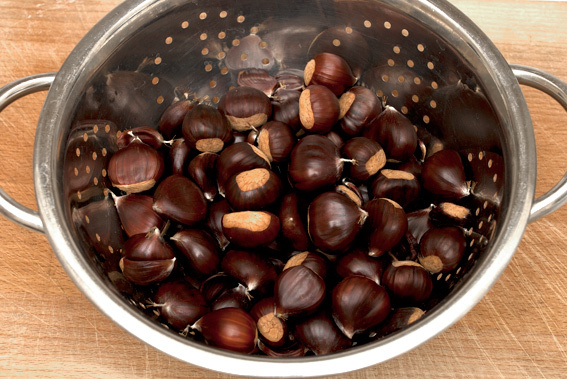 Chestnuts are particularly popular for stuffing goose and turkey at Christmas. I’ve read that they will keep for a long time if stored in the fridge vegetable drawer. I always liked them, as a child, roasted on Bonfire Night (November 5th). This entry was posted in Drink, Food, Recipes and tagged beer, flour, foraging, Hampstead Heath, Hyde Park, marron glacé, nuts, stuffing, sweet chestnut. Bookmark the permalink. Delicious – love chestunuts and we´ll soon be getting our turn at preparing them. We have a special chestnut pan (it looks like a small but deep paella pan with holes in the bottom and a long handle) which we use on the open fire or on the gas hob. Am all nostalgic about London now after your description of cycling through Hyde Park! Thanks – your pan sounds good. The parks look stunning, at present, with all the leaves changing colour. Thanks – I’ll have a look – the ponds are a very important part of the Heath!